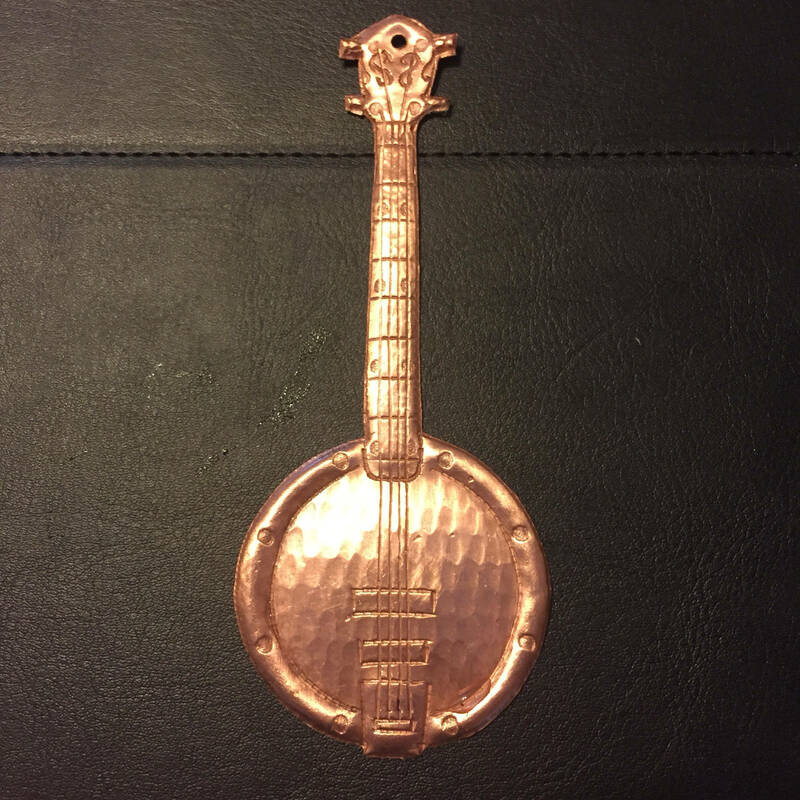 Pure hammered copper Banjo ornament. Approx. 5"high x 2"wide. 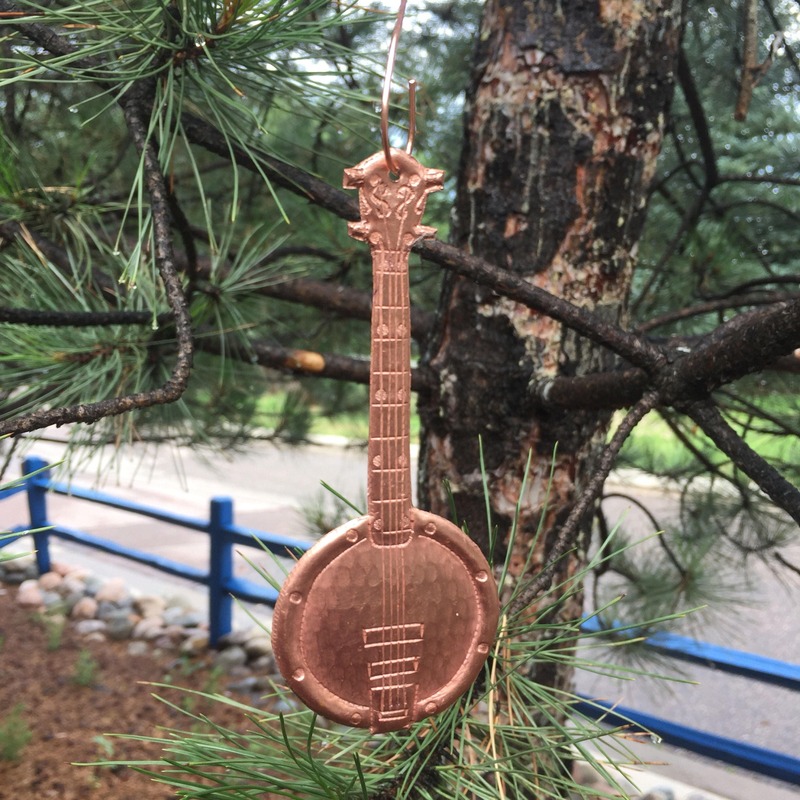 This copper Banjo arrives ready to liven up any tree with an included copper wire hook. 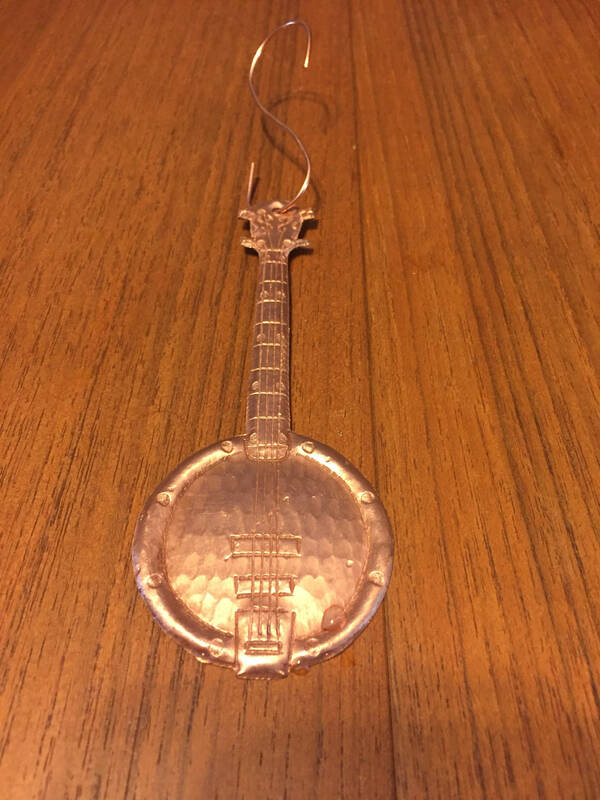 A really beautiful little ornament! 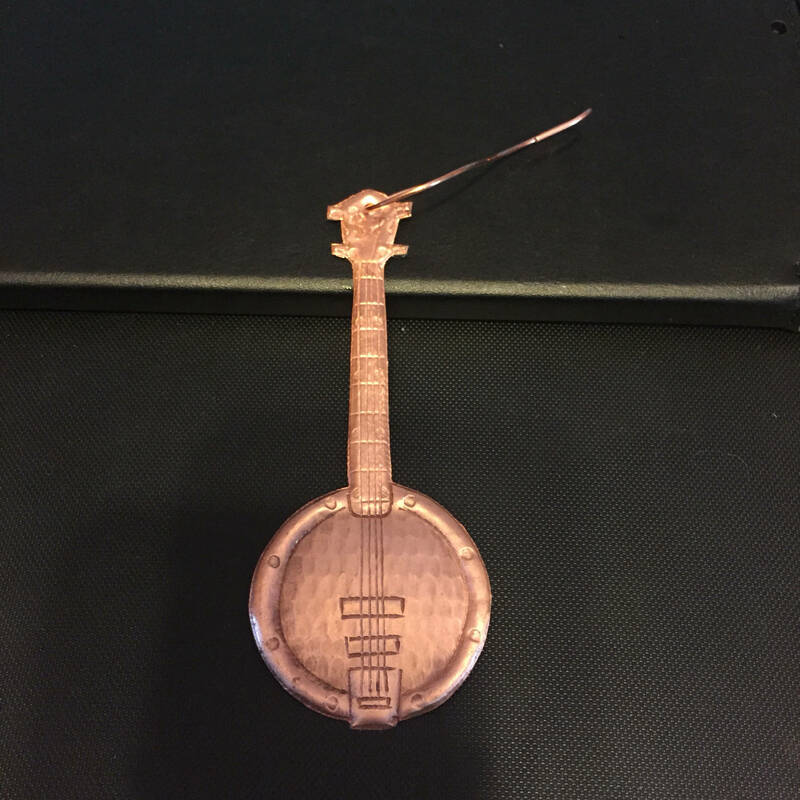 My banjo-loving friend will be all about it. 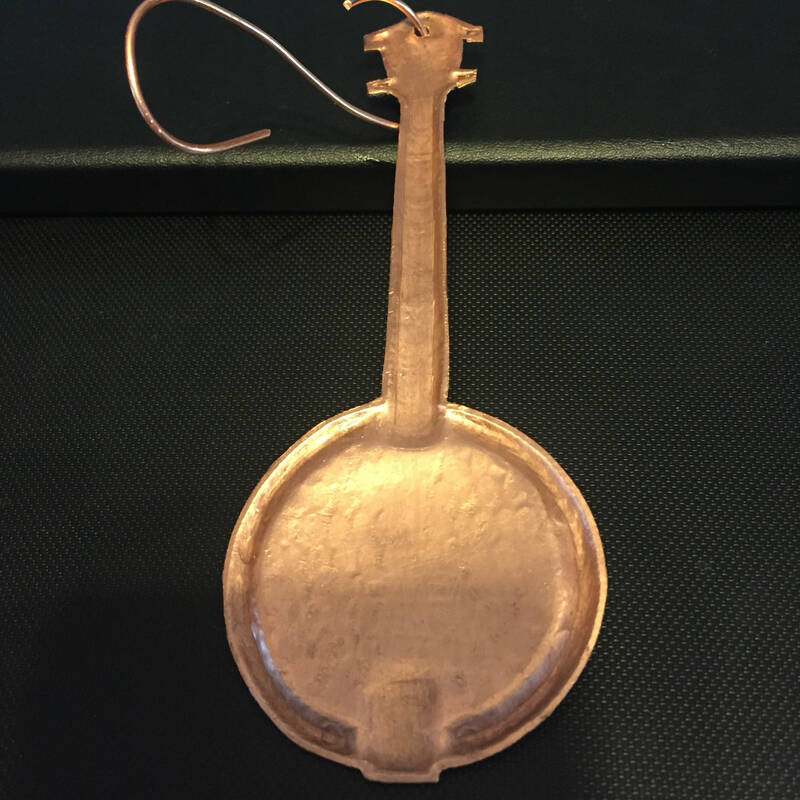 Shipping was prompt, well communicated and the packaging was very professional. I would order again in a heartbeat.